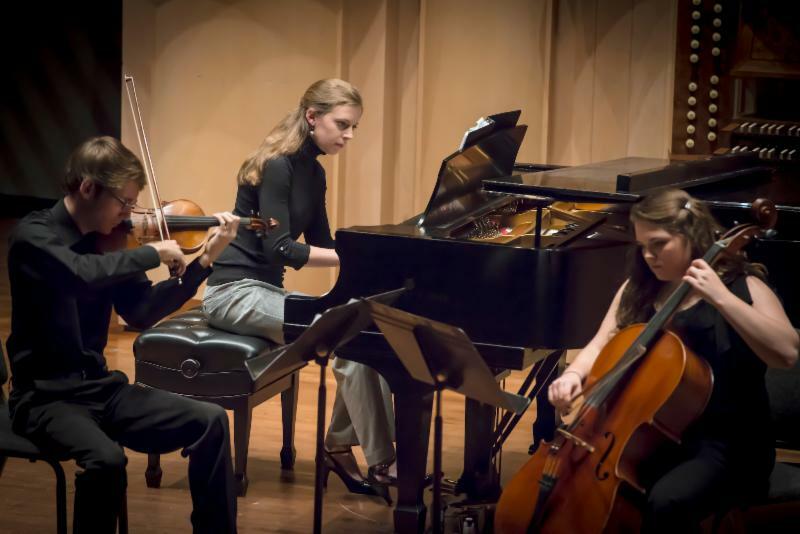 ﻿Visit sc.edu/music for up-to-date info, student and studio recitals. Tue., April 2, 7:30 p.m.
Fri., April 5, 1:10–2:00 p.m. Presented by Marianna Ritchey, University of Massachusetts. Co-Sponsored by the Department of Sport and Entertainment Management. Fri., April 5, 2:30-4:00 p.m. 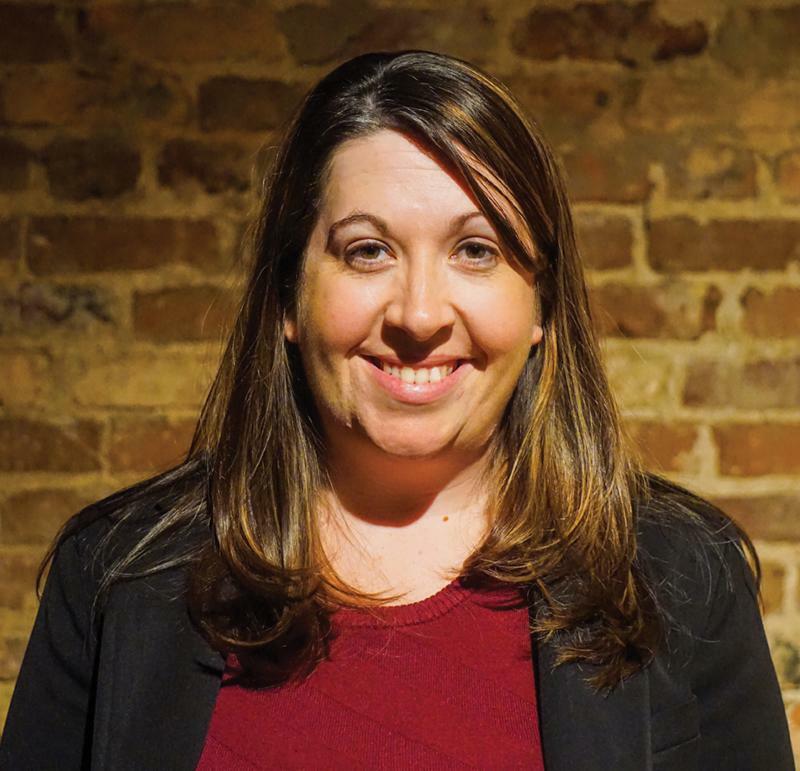 Thu., April 11, 7:30 p.m.
701 CCA at 701 Whaley St.
Co-sponsored by the South Carolina Honors College. Fri., April 12, 1:10-2:00 p.m. Presented by Heather Buffington-Anderson, Claflin University. Co-Sponsored by the African American Studies Program. Fri., April 19, 1:10-2:00 p.m.
Wed., April 3, 4:30 p.m. 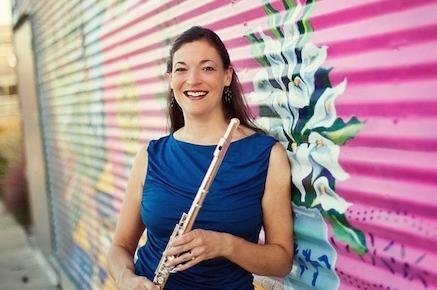 Guest artist recital featuring Beth Chandler, professor of flute, James Madison University. Parker Quartet has been hailed by The New York Times as “something extraordinary.” The Boston Globe called them, “…intense, virtuosic, utterly assured…” Inspiring performances, luminous sound and exceptional musicianship are the hallmarks of the Grammy Award-winning Parker Quartet. 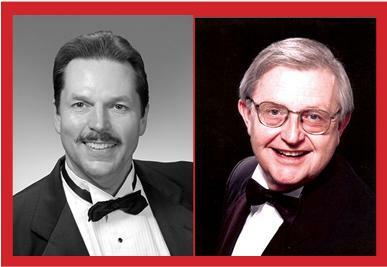 Thu., April 4, 7:30 p.m.
Tickets: adults $15; senior citizens, USC faculty & staff, and military $10; students $5. Fri., April 5, 7:30 p.m. Sat., April 6, 7:30 p.m. 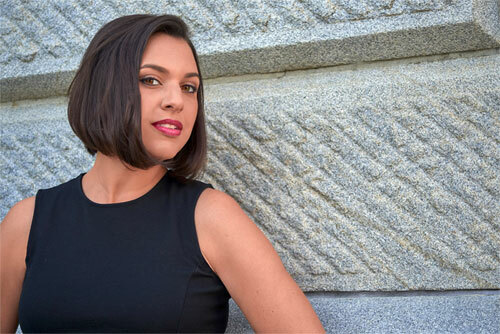 Eight advanced high school string quartets are mentored through intense coachings and master classes by members of the Parker Quartet and the USC School of Music string faculty. Immediately following the evening performance of all the quartets, the prizes of the competition are awarded. Free and open to the public to observe. Sun, April 7, 5:00 p.m. 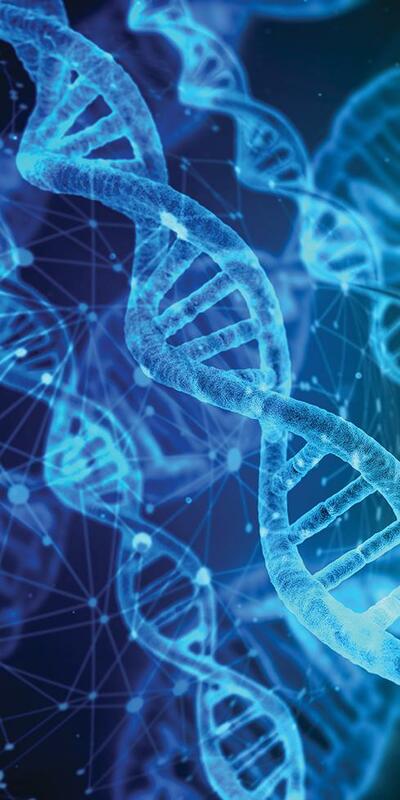 Mon., April 8, 7:30 p.m.
Mutational Music that explores the intersections of music, genetics and sonification. Double Helix. Experience the thrill of watching humans and machines collaborate in real time to create the music of the future. Tue., April 9, 7:30 p.m. 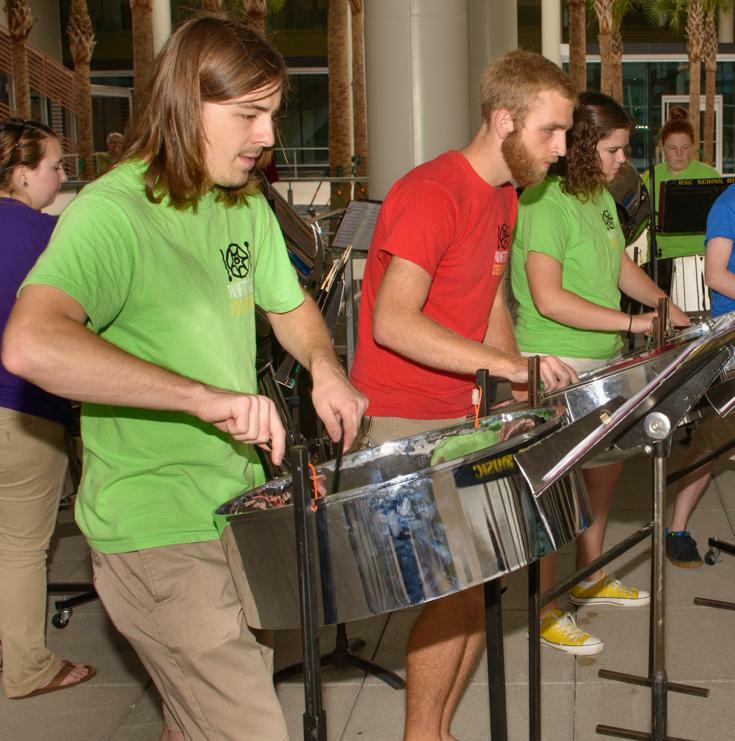 Thu., April 11, 2019 – 7:30 p.m.
Palmetto Pans Steel Drum Band performs the music of Trinidad and Tobago, island classics and popular music on 55-gallon oil drums transformed into musical instruments. Fri., April 12, 7:30 p.m. Sun., April 14 – 3:00 p.m.
, is a contemporary love story that follows the passionate development of the relationship between two characters set in a modern war zone. Rinaldo is an army officer conflicted about his love for peace and his duty as a soldier. 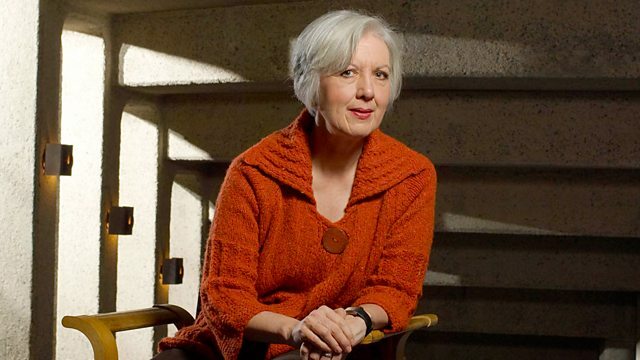 Armida, a high-powered television journalist, is equally conflicted by her profession as a war reporter in her occupied country. She enters the army camp to interview a soldier; she spirits him away and they start to fall in love. His fellow soldiers want him to return, but Rinaldo no longer has an appetite for combat. In the end, love triumphs. The war ends and Rinaldo and his comrades start growing flowers and vegetables in the desert. 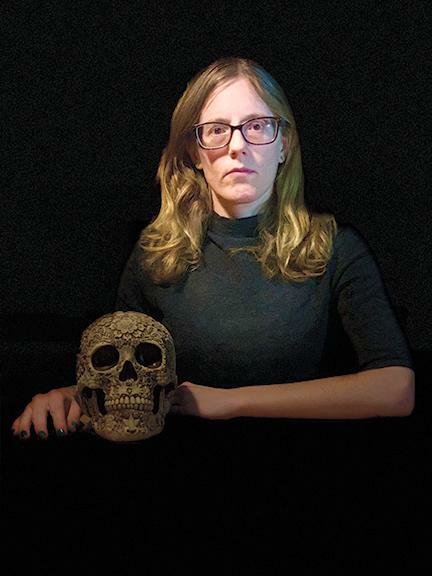 Armida’s employer, Metropolis News, decides to stop covering wars and specialize in gardening shows. 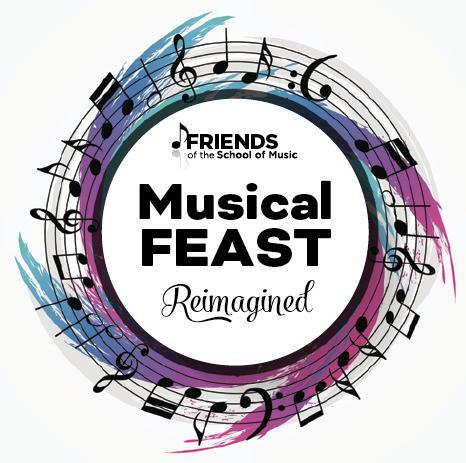 Sat., April 13, 6:30–9:00 p.m.
Musical Feast! Proceeds fund scholarships for students of the School of Music. Buy tickets here. For more info, call Caroline Earp 803-576-5763. Tue., April 16, 7:30 p.m. 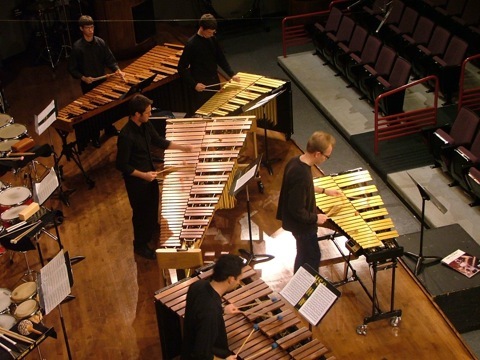 The UofSC Percussion Ensemble is UofSC’s premier percussion ensemble and performs a wide variety of music written expressly for percussion. 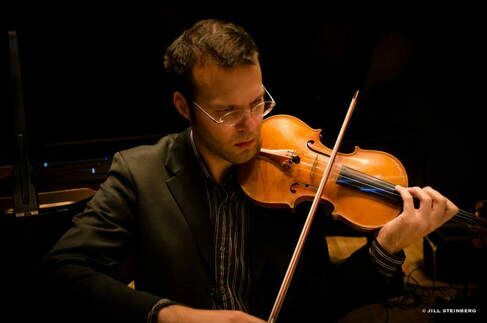 Selections range from chamber works for three to four performers to works using large forces and many instruments. Wed., April 17, 7:30 p.m. 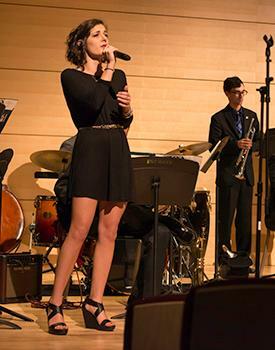 This ensemble group performs a cappella, with keyboards, combo and big bands. Tue., April 23, 6:00 p.m.
online. Discounted tickets must be purchased at the box office.  The UofSC Graduate String Quartet is comprised of the university’s finest string players, performing a diverse and dynamic repertoire of chamber masterworks from the Classical period through the 21st century on the highest professional level. Thu., April 25, 10:00 a.m.
Symphonic Winds Children’s Concert: B is for Band! Cormac Cannon explore the alphabet through music. 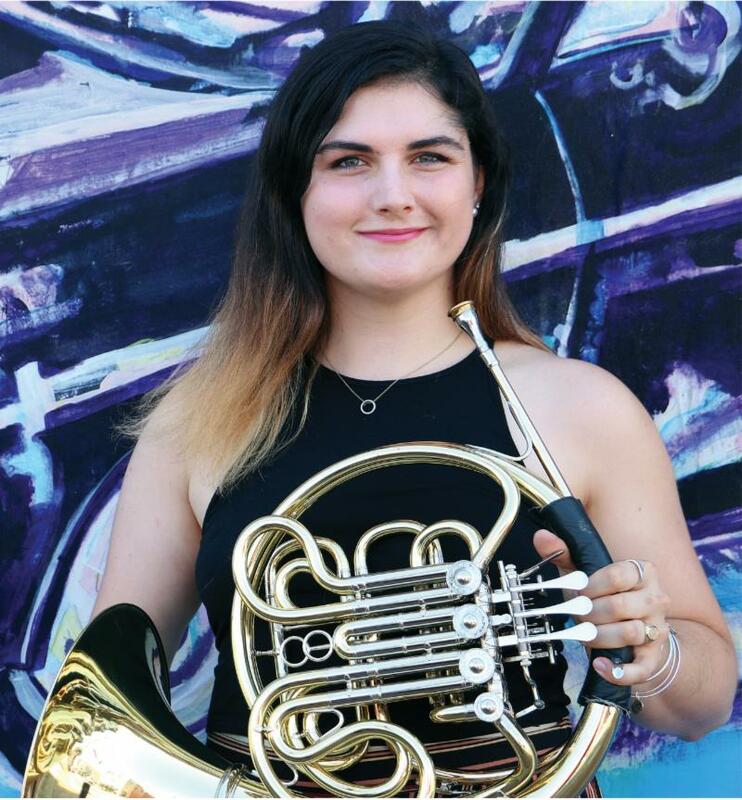 The 50-minute program features full ensemble pieces, smaller section pieces, and audience participation as students learn about the alphabet, musical instruments, composers and how music is created. Thu., April 25, 4:30 p.m. 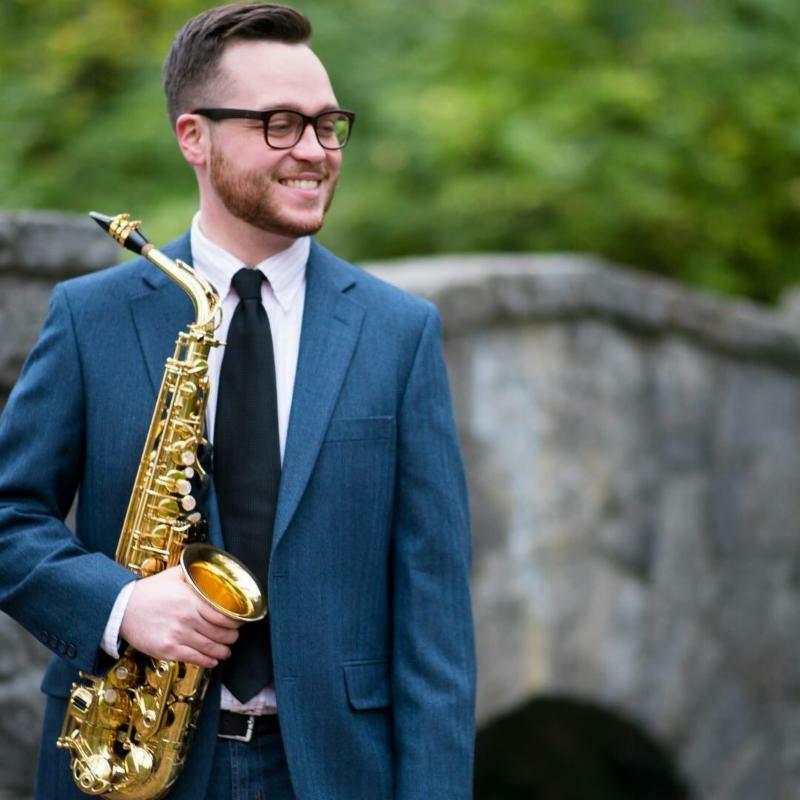 These large concert ensembles are made up of a diverse group of students pursuing degrees from all across campus. Larry Wyatt who retires at the end of the year. This is his last official concert as director of choral studies. 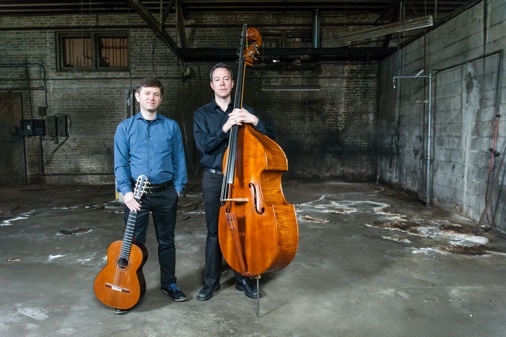 Matthew Slotkin, who perform an eclectic mix of musical styles from tango to jazz to baroque. Both musicians are classically trained, yet show their diverse musical roots in arrangements by a wide variety of music by composers. 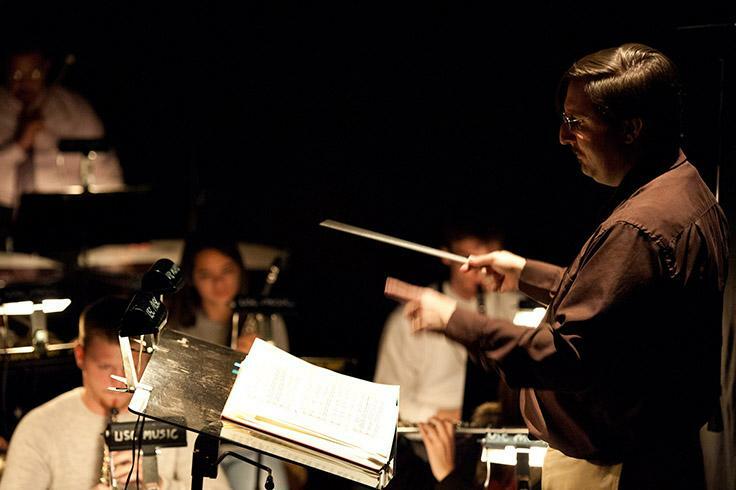 UofSC’s student composers present a concert of their work. 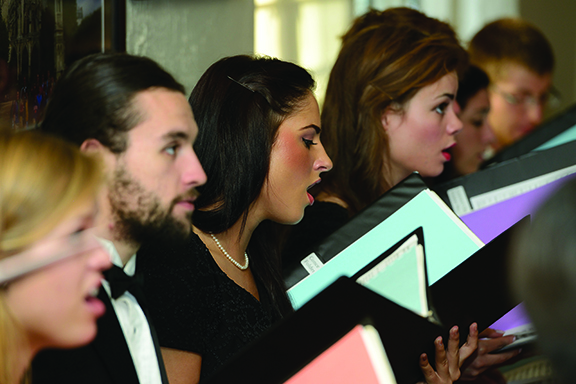 The University Chorus is UofSC’s largest choir and performs diverse repertoire from the Renaissance to the present day. 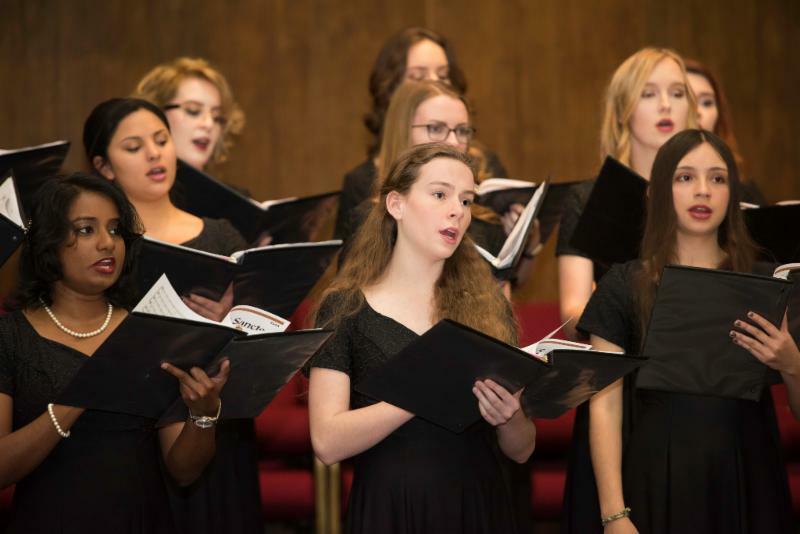 Concerts feature the finest choral masterworks and compositions by current composers, as well as folk song settings from around the world. Mon. April 29, 7:00 pm. 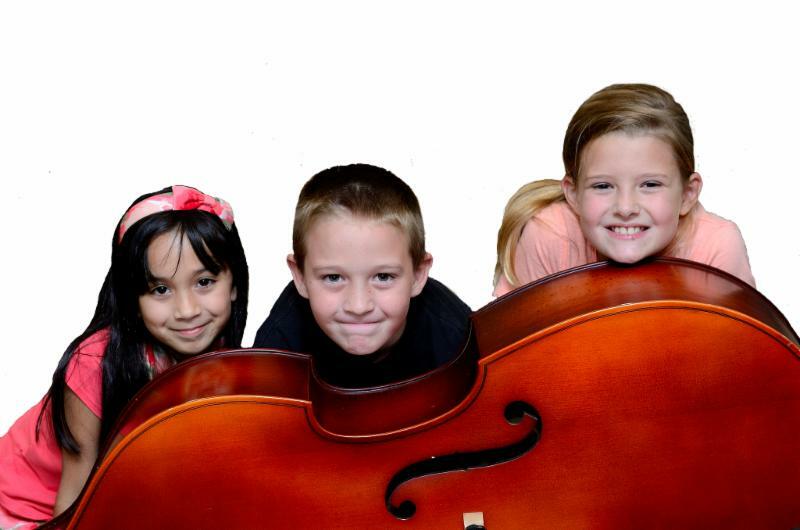 UofSC String Project provides instruction in violin, viola, cello and bass through group classes and orchestras. The nationally recognized program offers beginning classes for children in 3rd through 5th grade and beginning classes for adults. Tue., April 30, 6:00 p.m.